Everything worth learning is better learned through experience. 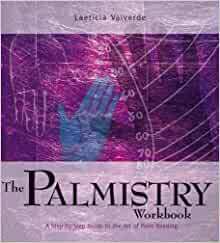 "The Palmistry Workbook" will guide you, step by step through the ancient art of palm reading. Learn how to identify the many lines on the palm and interpret their meanings for yourself and others. Follow the exercises and find out how to read a person's palms for insight on personality, current and future relationships, career and money, health and success. Each chapter has a section for you to review the exercises and monitor your progress. "The Palmistry Workbook" provides a fascinating overview of palm reading, including the history of palmistry, the meaning of the individual lines on the palm, the symbolism of different shapes and the significance of the thumb and fingers. Laeticia Valverde is a palmist with twenty years' experience in private practice. She has written a number of articles on palmistry in various magazines, divining the future from readers' palms. She lives in Merewether, Australia. Good book enjoying reading it! 5.0 out of 5 starsSimply explore your palm ! There is a diagram for each and every sign that the author explains thus making it very easy to follow and understand. The language is very easy to follow too and very lucid ! Indeed one of the best step-by-step guides I have come across ! Very well done. I appreciate the new insights offered and the applications laid out in simple, direct instructions. This can be a very complex and difficult subject to learn that many people have thought they could never understand. Here we have a clear, understandable explanation and demonstration of each portion of the study that makes it not just possible but quite a lot of fun to learn. There is something here for everyone from the beginner to the "old hand"! After ordering the workbook for runes from the same company, I decided to try their palmistry book. I found this book to be so much easier to use than my other palmistry books. It's broken down into easy to learn sections, with helpful points at the end of the chapters. I was very pleased with the sample readings being done from photo copies, as I have been working a lot with photo copies of my friends' hands. The physical quality of the book is also superior. The pages are thick, vivid, and the cover is thick with flaps on either side that help with place marking. My other palmistry books have been shelved, this one is out and in use. 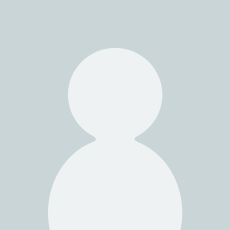 Some very good insights. A bit different in perspective than some other palmistry books- but that's why I like it. While not quite as complete as I had hoped, it was a very good walk through guide that covers more than the obvious basics, but falls a bit short of being a complete reference. It is easy to read and understand and laid out in a straightforward logical manner. I was very pleased with the book overall, although the illustrations could certainly be better. If you are new to palmisry, or have only moderate experience I would highly recommend it.